8th Riga Technical University Open was once again held in Kipsala exhibition center. There were over 600 participants from almost 40 countries participating. This year we have implemented video broadcast and live commentary for the first time ever, which was a great success and we will do our best to make it our tradition! The tournament A was dominated by our Armenian guests who won 1st and 2nd place – Robert Hovhannisyan and Manuel Petrosyan. Alexander Predke from Russia won the 3rd place and 4th place went to the best Latvian player – Igor Kovalenko. Top 3 ladies were Priyanka Nutakki, Elizaveta Solozhenkina and Vaishali R. The latter had the highest performance rating among women players and won her last WGM norm, thus becoming a Women Grandmaster. In a Tournament B the winner was Guntis Jankovskis from Latvia and a second place went to Latvian as well and Dimitrijs Tokranovs won it. Third was Konstantin Loy from Ukraine. All information about Riga Technical University open 2018. The 7th International Chess Festival “Riga Technical University open 2017” was held in Kipsala International Exhibition Centre on August 7th– 13th. The grandmaster from Ukraine Vladimir Onschuk, became the winner of the largest chess festival in Northern Europe – RTU Open 2017. 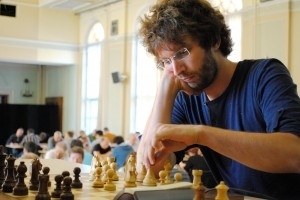 Sergey Pavlov, IM from Ukraine, won the second place, while Tamir Nabatiy, Israel’s player, was third in the third place. The festival, gathered a record breaking 655 participants of classical chess tournaments together with 277 players in blitz tournament making the number of participants close to 1000. Only one player from top 10 ranked players finished tournament at first six places. Local hero Alexei Shirov took 6th place. “Baltic Law Offices Open” – tournament B was won by three Belorussian chess players 1st place Natalia Popova 2nd Ivan Zhuk and 3rd Volha Malatsilava. The festival ended with Blitz tournament that lead to victory of Andrew Tang from United States of America. The 6th international chess festival “Riga Technical University open 2016” was once more held in the International Exhibition Centre “Kipsala” from 8th to 14th of August. In 2016 the biggest names of the festival were Axel Bachmann (PAR), Hrant Melkumyan (ARM), Daniel Naroditsky (USA), Robert Hovhannisyan (ARM), Martyn Kravtsiv (UKR) and many others. 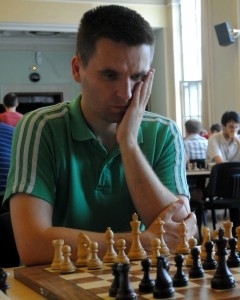 The festival was won by ukranian grandmaster Martyn Kravtsiv, who got 7 points out of 9 along with 4 other grandmasters. Martyn was followed by Hrant Melkumyan (ARM), who was the tournament winner in 2014, but the 3rd was latvian grandmaster Arturs Neiksans. The main tournament gathered 184 players from 31 country including 17 GMs and 82 titled players. Overall more than 400 participants took part in the festival. All information about Riga Technical University open 2016. The 5th international chess festival “Riga Technical University open 2015” for the 2nd time was held in the spacious and comfortable International Exhibition Centre “Kipsala” from 10th to 16th of August. In 2015 there were some changes introduced in the tournament format – festival was 7 days long to make the it even more affordable in terms of time and expenses. Also time limit for Tournament A was decreased to 90 minutes + 30 seconds per move without increment after move 40. Festival included four ELO tournaments (A-D) and a blitz tournament (E). 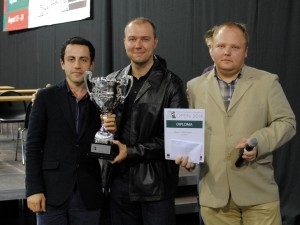 In 2015 the biggest names of the festival were Alexei Shirov (LAT), who won the tournament A, he was followed by Robert Hovhannisyan (ARM) and Rinat Jumabayev (KAZ). Many other strong GMs participated, including Igor Kovalenko Daniel Fridman, Mykhaylo Oleksiyenko, Hrant Melkumyan, Mateusz Bartel, Daniel Narodity, Bartosz Socko and many others. The main tournament gathered 191 players from 38 countries including 35 GMs and 74 titled players. Overall more than 400 participants took part in the festival. All information about Riga Technical University open 2015. The 4th international chess festival “Riga Technical University open” was held in the international exhibition centre Kipsala from 15 – 24 of August. Tournament included five ELO tournaments (A-E) and a blitz tournament (F). There were 400 participants from 38 countries, who played at least in one of five main tournaments. Grandmaster tournament was won by armenian GM Hrant Melkumyan (7,5 points out of 9), who was followed by GM Richard Rapport from Hungary with the same amount of points. The 3rd place was taken by GM Eduardo Bonelli Iturrizaga from Venezuela (7 points out of 9). Altogether 9 players got GM norms and IM norms. The 3rd international chess festival “Riga Technical University open” was held in the main building of the university in the heart of Old Town from 5 – 11 of August. Tournament included three ELO tournaments (A-C) and a blitz tournament (D). There were 305 participants from 30 countries, who played at least in one of three main tournaments. Grandmaster tournament was won by polish GM Bartosz Socko (7 points out of 9), who was followed by GM Robin Van Kampen from Netherlands with the same amount of points. The 3rd place was taken by IM Mikhail Antipov from Russia (6 points out of 9), who had the best Mini Bucholz out of 11 players. Altogether 4 players got GM norms and 8 players – IM norms. The Riga Technical University chess festival of 2012 took place at the main building of the Riga Technical University on 6 – 12 of August. The Grandmaster Tournament brought together 150 chess players from 25 countries, including 23 grandmasters and 36 masters. The biggest names of the festival were GMs Daniel Fridman, GM Jaan Ehlvest and GM Alberto David. GM Alexei Shirov participated in the blitz tournament. Tournament without losing any games was won by Slovak grandmaster Jan Markos (7,5 points out of 9 possible). He was followed by grandmasters Alexander Fier (BRA), Daniel Fridman (GER) and Samuel Shankland (USA) with half point less. The woman prize was won by WIM Judith Fuchs from Germany. 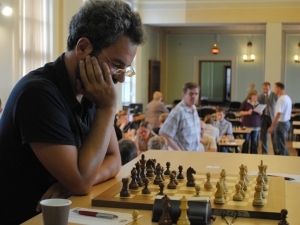 The first international chess festival “Riga Technical University open” was held in the main building of the university in the heart of Old Town from 9 – 14 of August. Tournament included two ELO tournaments and a blitz tournament. There were 166 participants from 19 countries, who played at least in one of three tournaments. The Main tournament or the Grandmaster tournament was won by the number one of the tournament GM Alberto David from Luxembourg (7,5 points out of 9 possible). GM Jaan Ehlvest form USA scored 7 points and was ranked second. Both winners played a very convincing tournament and there was no doubt at any moment that the grandmasters will earn medals. IM Vladimir Sveshnikov was the best local player with his 6,5 points and 3rd place. The best lady was WIM Katrzyna Toma from Poland.